Last Days Review: Fasting within the church. What is it really? You might be surprised! Fasting within the church. What is it really? You might be surprised! Todays article is about "fasting", sacrosanct for many generations of church goers. While in fact it may be that many within the church do not fully realize the actual Biblical purpose of fasting. Obviously others will. First allow me to be crystal clear. Fasting of food or others things has been practiced within the church forever and in many cases is called for. I am not disputing that one tiny little bit. But, as is the case of many other things that God instituted for the well being of mankind, there is a much larger purpose that is seldom taught. And yes, this much larger purpose is very Biblical and written for all to see. So no one misunderstands my intent, allow me to list several passages in which people did fast food for specific purposes; Judges 20:26 Israelites fast and inquire of God before going into battle. 1 Samuel 1:3-7 Hannah prepares for worship and prayer. 2 Samuel 12:16 King David tries to save his son. Ezra 8:23 People ask God for protection. Nehemiah 9:1 Fasting coupled with repentance. In fact in the Old Testament several other passages indicate fasting of food as follows; Interesting, look them up. 1Samuel 31:13, 1Chronicles 10:12. 1 Kings 21:27. 2 Chronicles 20:3. Nehemiah 1:4. Esther 4:16. Daniel 6:18. Joel 1:14. And Jonah 3:5-10. So we know for certain that Old Testament people for various reasons fasted food and that the fast was in many cases accompanied by prayer. The main purpose was for the people to humble themselves before God and through the denial of worldly necessities, to afflict their souls. A good thing to do but in fact "fasting" was only specifically commanded in the Old Testament for the Day Of Atonement which is part of the fall High Holy Days (we just passed through that time during September and part of October this year). It should be noted that no where in the Bible (Old or New Testaments) did God ever set in place any principles governing the length or nature of fasting at least in terms of what physical objects to fast. For the New Testament, we are almost immediately told that Jesus fasted during His 40 day sojourn in the wilderness at the very beginning of His earthly walk and ministry in Matthew 4:1-9 and Luke 4:1-2. Jesus felt it necessary to fast all food during this time period so we can conclude that fasting for the right reasons certainly has real value. 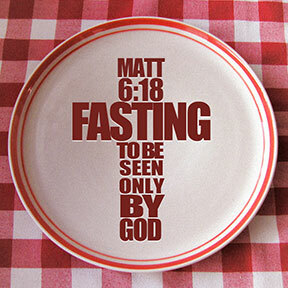 Jesus also taught in Matthew 6:16-18 that fasting was to be done privately NOT publicly. He was teaching about forgiving men their trespasses and followed with this injunction "Moreover, when you fast, do not be like the hypocrites, with a sad countenance. For they disfigure their faces that they may appear to men to be fasting. Assuredly, I say to you, they have received their reward. But when you fast, anoint your head and wash your face, so you do not appear to men to be fasting, but to your heavenly Father who is in the SECRET PLACE (my emphasis added). And your Father who sees you in secret will reward you openly"! Jesus then goes on to tell us not to lay up our treasures on earth but lay up for yourselves treasures in heaven. Of course we can also conclude in that statement that although having "STUFF" here on this earth is not a problem for most people, worshipping or even valuing the stuff more that our commitment to the Lord is a problem. In other words when fasting or even doing good works for other people, do not advertise it. P.S. 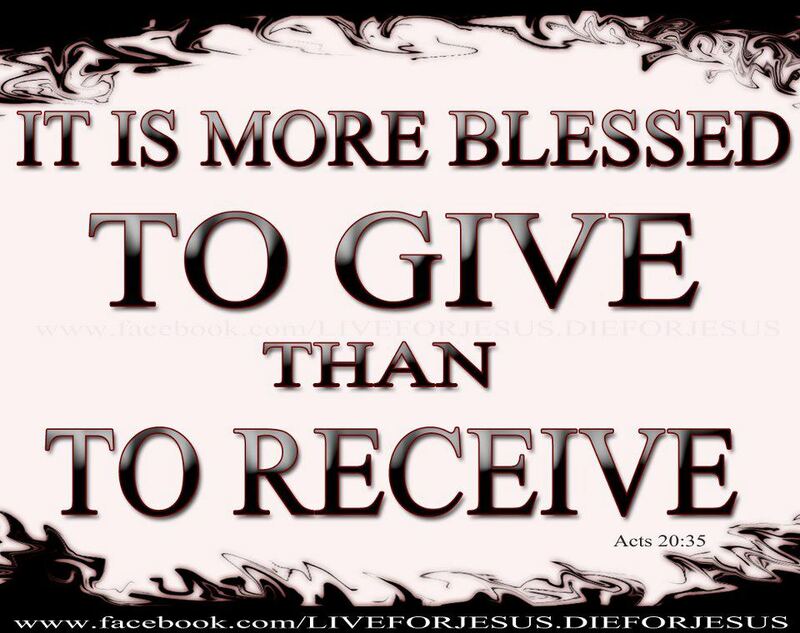 Legal or not perhaps if your giving is really unto the LORD? Do you really need that tax deduction? Because if that is the case are you not also receiving reward in return for your giving? Just a thought to ponder. I fully understand that lot's of Christian folks innocently declare their fasting and good works. How many times I have heard "I am fasting this week and going for 40 days just like Jesus". Or, "you know that poor family down the block? We took care of all their needs just last week"! 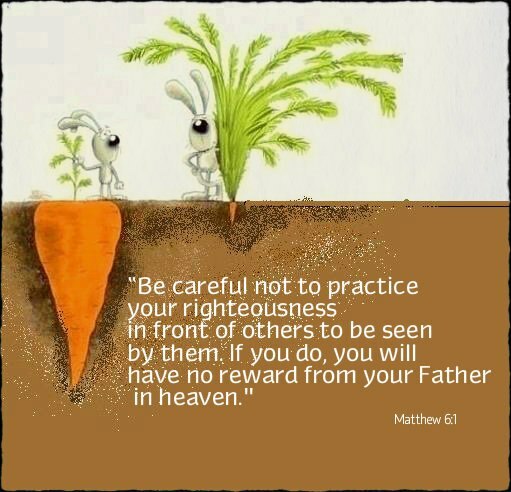 Well, according to Jesus words, any heavenly rewards for that fasting giver are not going to happen because they have already received their kudos here on earth. Secondly, although I am sure there are a few people in the world who have been able to make it for 40 days of fasting, in my entire ministry life I have ever known one man who did that successfully. And although I sincerely respect his self discipline and commitment, he went around telling people about his achievement. Basically by telling people what he had done all he accomplished was making himself hungry for 40 days. A very good brother by the way so no slap on the wrist here. It's just that very many believers do not realize that their fasting or good works should always remain in the "secret place". NOTE: In response to questions about doing good works, I DO advise that since married people are "ONE FLESH" before the Lord, in my opinion they should be on the same page where these things are concerned and I have always encouraged couples to talk these things over. NO secrets in a happy marriage! Jesus did say that His disciples would fast AFTER He was taken from this world. Matthew 9:15 plus reiterated in Mark 2:18-20 and Luke 5:33-39. Basically all the same message. The church in Antioch (Acts 13:1-3) fasted and prayed for the Apostle Paul and Barnabas before sending them on their way. The churches in Galatia fasted and prayed in Acts 14:21-23. And we could discuss other times. But I have a question for all my readers? 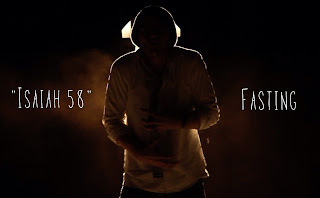 Where in the Bible does God actually EVER explain what constitutes a fast? Do you know off the top of your head? Well actually there is one very specific place in the Bible where God tells us what a fast is and that is found in the Old Testament. In Isaiah chapter 58:6-9. And it is extremely specific. While fasting coupled with prayer, done very privately, certainly has value for the individual believer, the overarching theme of fasting in the eyes of God is something altogether different. As you read the following passages which were penned by Isaiah through the leading of God's Holy Spirit, please keep the New Testament GREAT COMMISSION command in the forefront of your mind because these two extremely important areas of both Testaments dovetail almost exactly but with slightly differing objectives. Or are they different? Really? 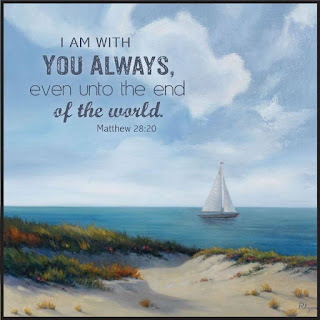 In Matthew chapter 28:18-20 Jesus literally gives us a command to accomplish and He did this just prior to ascending to sit at the right hand of our heavenly Father. "All authority has been given to Me in heaven and on earth. 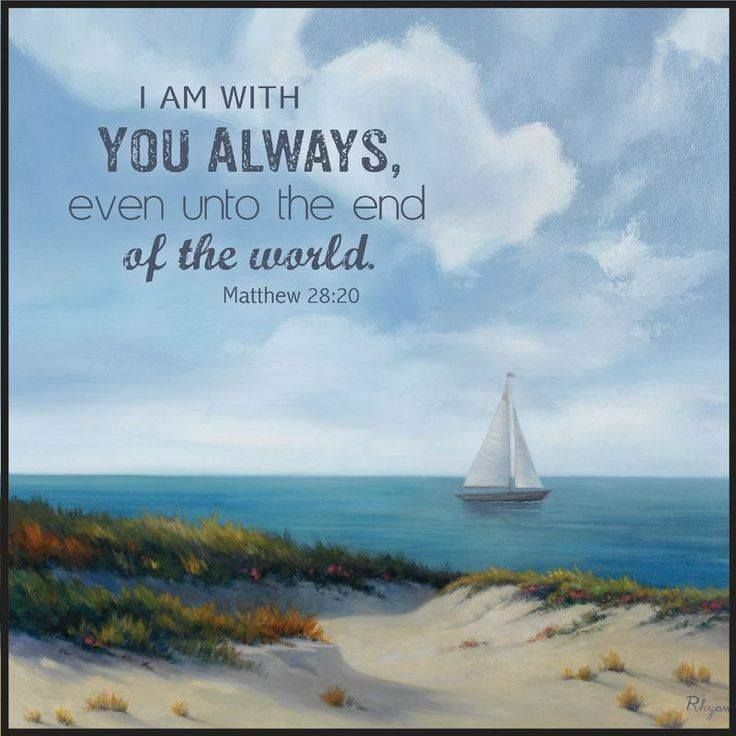 Go therefore and make disciples of all nations, baptizing them in the name of the Father and of the Son and of the Holy Spirit, teaching them to observe all things that I have commanded you; And lo, I am with you always, even to the end of the age". Amen. So the question is? Who exactly was Jesus speaking to? Just pastors and evangelists? No, He was speaking to ALL church age believers without exception. As a pastor myself I would like to tell you a short story that convicted me when I realized what I was inadvertently doing myself. A very long time ago, I was preparing for a large outreach in 5 different towns in another country. I spent months in preparation and teaching my missionary crew what we would be doing which included door to door invitations, handing out tracts, evangelizing, teaching, altar calls, working with the local pastors, ad infinitum! Before we actually left for the planned 21 day vigil, I was exhausted and took a couple of days off for quiet time, speaking to the Lord etc. My own prayer time. Do you know what the Lord put in my heart? I had put all this effort (for a good cause) into going "somewhere else" to preach the gospel but during all those months had literally walked past thousands of unsaved souls without ever giving them a second thought. People I would probably never see again. And yes, the Lord could certainly reach these people through other means. But I was convicted to the tips of my toes. In my rush to DO the great commission, I had NEGLECTED the great commission. It reminded me of what I had always told my own congregation; Missions (in this case evangelism) begins right next door. Keep that in mind please as we see what God has to say about fasting because in my opinion, God's stated purpose for fasting is very connected to the great commission. 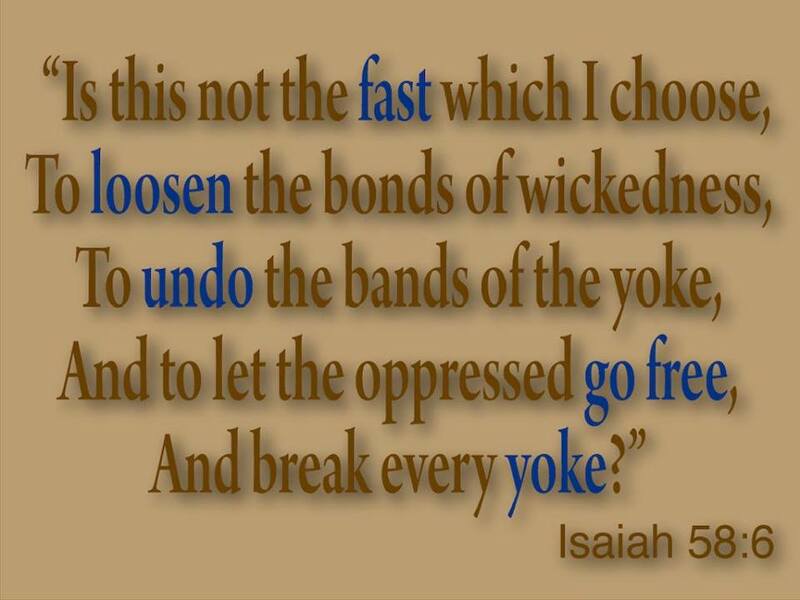 Isaiah 58:6-9 (Remember please that this is the ONLY place in the entire Bible where God defines what a fast is). God begins by asking a question. "IS THIS NOT THE FAST THAT I HAVE CHOSEN? 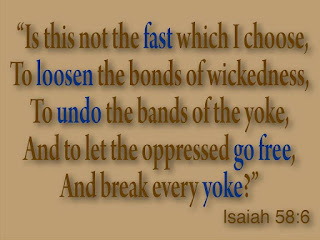 To loose the bonds of wickedness, to undue the heavy burdens, to let the oppressed go free, and that you break every yoke? 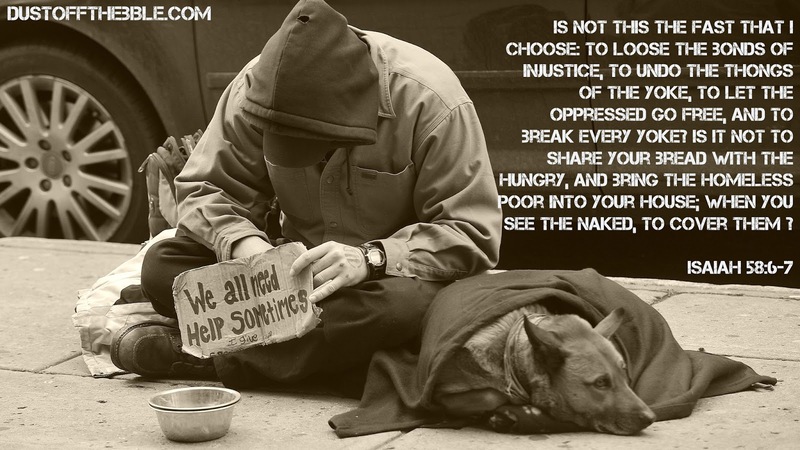 Is it not that you share your bread with the hungry, and that you bring to your house the poor that are cast out; When you see the naked that you cover him, and not hide yourself from your own flesh?" Clearly while privately fasting food may provide benefit to you as an individual, God defines fasting as something different entirely. He defines fasting as helping other people. So let's backtrack a bit. In our complex, often dangerous society today I do not recommend that you pick up strange homeless people and bring them to your house. But everyone can either volunteer time or help in some way at a homeless shelter or church doing outreach to these folks or others who are less fortunate than ourselves. Or if you cannot do so physically support with finances or even prayer covering. Another story may help explain how helping others may qualify as a fast. Remember that fasting may not be limited to food intake. It could include setting aside movies for a week or month, using this years vacation money to help build a needed house for a poor family, donating something that is important to you because someone else has sincere needs. I remember clearly (nearly 30 years ago) when several ladies from a local church kindly showed up at our mission base with a bunch of used clothing for the poor and they wanted to volunteer some time. These were all very dedicated Christian ladies with good intent so I do not want to demean them in the slightest way. The clothing they brought although greatly appreciated was somewhere around 20 years old. The kind of styles that hang in your closet for years, are faded and spotted and you would never ever think about wearing today. These ladies were dressed to the hilt. Great clothes, jewelry, make up and hair done to the max. No fault, no criticism. Well, as the case is at most missions bases, donated used clothing is not always clean upon arrival. As a result the used clothing room is a processing plant that can be somewhat odiferous until all those intended give-a-ways are sorted and washed. Meaning well about their plans to volunteer time, these ladies immediately turned up their noses about touching someone else's used garments. So they settled in for coffee, donuts and conversation which I was glad to oblige because I sincerely appreciated their hearts. In the process they explained that they had all decided to go through their closets and donate dresses and things that they would never wear again because styles had changed. Then one of these sweet ladies asked me the dreaded question that I really did not relish answering. "Tell us what we could really do to give of ourselves and bless someone else"? Well, I have run into that before and knew that by being honest with them I could easily offend but I also knew that I had to be truthful with them. My answer? "How about if you go home and take out of your closet the very best dress that you have and donate that to the poor"? You know, a little clothes horse fast? Of course I did not say that last part but when we give, the question is are we giving our best to Jesus or our worst, no longer wanted's? Matthew 25:35-40 (Jesus speaking) "For I was hungry and you gave Me food; I was thirsty and you gave Me drink; I was a stranger and you took Me in; I was naked and you clothed Me; I was sick and you visited Me; I was in prison and you came to Me." Then the righteous will answer Him saying, Lord when did we see you hungry and feed you etc?" And the King will answer and say to them, "Assuredly I say to you, in as much as you DID IT to the least of these my brethren, you did it to Me"! In verse 45 the tone changes to something entirely different! (Also Jesus speaking), Then He will answer them saying "Assuredly I say to you, in as much as you DID NOT do it to one of the least of these, you DID NOT DO IT TO ME"! Uh, oh! 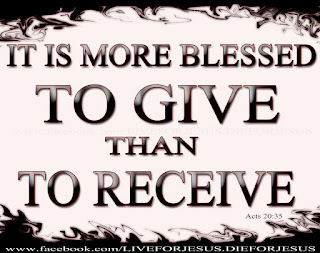 When we give, do we give our best to the Lord or what we would otherwise sell at a garage sale? Well, needless to say my answer to these other wise very nice ladies went over like the proverbial lead ballon. In fact it was the very last time I was invited for coffee and donuts. 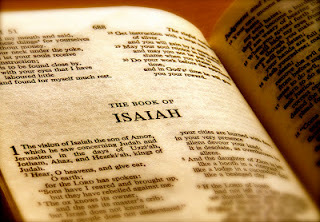 Now lets go revisit Isaiah chapter 58, and begin with verse 8. Remember that this is the ONLY place in either Testament where God Himself defines what He considers to be a fast. The context beginning in verse 8 is that AFTER WE HAVE DONE VERSES 6-7, the result will be as follows; "Then your light will break forth like the morning, your healing shall spring forth speedily, and your righteousness will go before you; The glory of the Lord shall be your rear guard. Then you shall call, and the LORD WILL ANSWER, You will cry, and He will say "HERE I AM"! Do you want to be a true light in this world? Want your healing to come speedily? 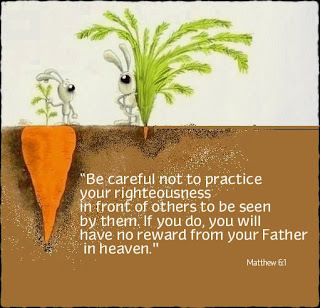 Really want to be righteous before the Lord? Want the Lord to be your rearguard? Sincerely want to hear the Lord's voice speaking to you from within? Take another look at Isaiah 58:6-9. That's pretty clear don't you think? While fasting food or drink is clearly a Biblical concept when done correctly, the Creator of the universe defines fasting as service to other people. Very privately done service to other people. By definition for believers, whatever we have accumulated in life has been provided for us by the Lord. Often through our own hard work or career but even that is something provided to us by God. So the question is a simple one. How is it that we can receive bounty from the Lord with our right hands and sell it back or give it back to Him as unwanted junk with our left hands? At the risk of glorifying myself which is not my intent, I will close this article with another story. More years ago than I can count, I was running a large missions base and church. The base had a warehouse of 35,000 square feet filled with donated food, clothes, furniture, kitchen utensils and enough used bowling balls to outfit the cannons of a small army from 1800. A young lady freshly relocated from a large city went to a local Christian book store and told them she wanted to donate a lot of newer city style clothing but did not want to donate them to any organization who would in turn sell them. The owner of the store told her to go see Pastor Rance because he is the one locally who refuses to take money from the poor. (NOTE: I personally know of many other pastors and leaders who have that policy. The reason you may not know it is because those kinds of people generally keep it to themselves). Forgive me for sharing my own story and feelings about this but it is the only way I could think of to get my point across. I still feel strongly about that to this very day. She came, donated her clothing, eventually came on staff as a missionary, became my best friend and in time my cherished wife for life. 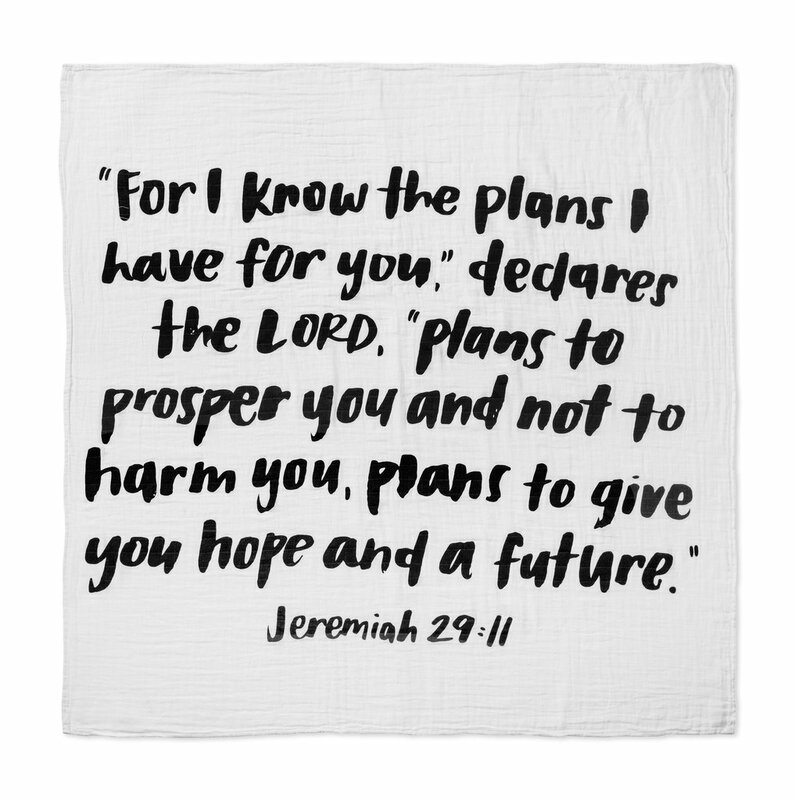 As we were planning our wedding, I shared with her that the Lord had given me (years before) a very special verse to begin the basis of the missions organization He had begun through me. It was Isaiah chapter 58 verses 6 and 7. She was shocked and shared with me that when she was beginning her Christian walk, the Lord had given her "life verses" that were Isaiah chapter 58 verses 8-11. An exact follow up to mine! No mistakes or coincidence where the Lord is concerned. 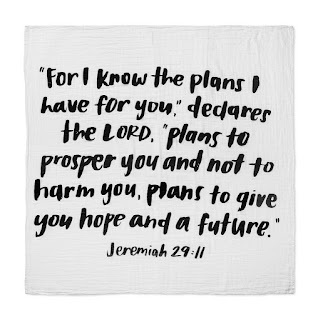 He has it all planned out before we were ever conceived in our mothers womb! 2). Do your best to obey the Lord's commands. Luke 6:46. 3). Understand that God's definition of fasting is service to mankind. Isaiah 58:6-7. And yes, continue fasting food and drink if you feel called to do so. 4). Keep your priorities straight. 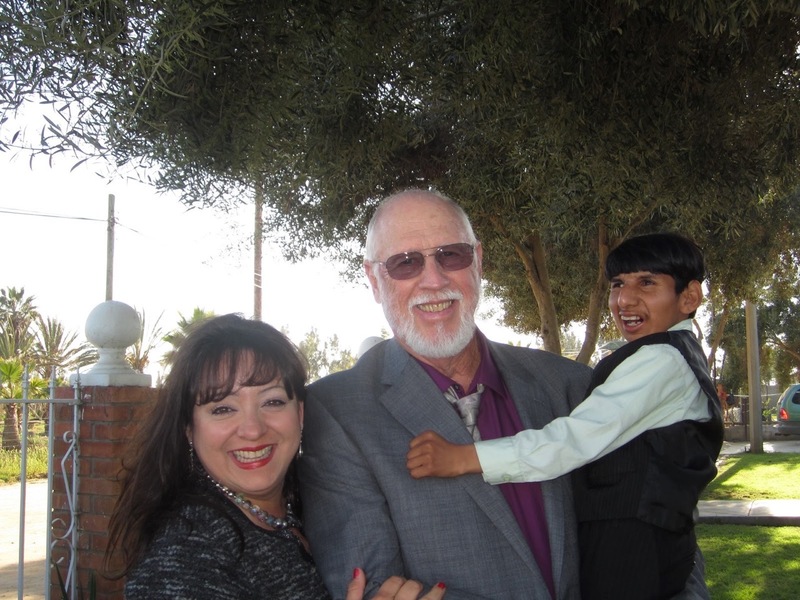 God first, then spouse and children---family. Then, work, job, career. Also quietly take care of those around you who have need as best you are able.